One of my neighbours recently purchased Microsoft Word (and maybe more of MS Office as well). She had persevered for several years with Open Office (which of course, is free) but was never really happy with it. For example could never get the spell check/dictionary stuff to work. I think this was an installation problem, I remember that installing a dictionary in Open Office was a bit of a challenge. Since then I have seen a couple of the documents my neighbour has written. They are well written and formatted correctly, and the spelling is pretty good. However there is nothing special in them to warrant the sophistication (and complexity) of Word. Everything in these documents could have easily been done with Open Office, or with my favourite free Word Processor - Google Drive (or Google Docs as it used to be known). While this may not seem significant or important, it just reminds me that there are so many choices out there, and making the right decision is not easy. I wonder if my neighbour even knows about Drive, even though she is currently migrating to using a GMail address. For my neighbour, and most people who just need to write the occasional simple letter or document, I'm sure Drive would have been perfectly adequate, a lot simpler to use, more secure (Cloud storage/backup), and free. Of course nobody makes any money selling free software, I'm sure the computer sales person didn't offer it as a choice. Anyway my neighbour is happy and there is no point in changing that choice now. Over the last 3 weeks or so we have had 3 bursts of power cuts. Two of them involving multiple cycles of off-on again, plus a period of about an hour with no power at all. The last occurrence was unknown as it occurred while we were asleep. 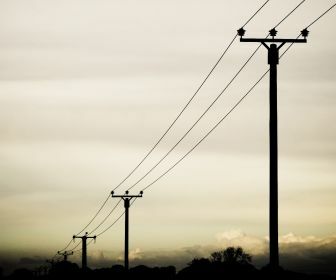 However being deprived of electricity does show how dependent we are on the stuff. No TV, and worse for me, no internet connection, and some scares with expensive stuff that behaved oddly until being powered off. As we are in a rural location, with a water pump, we didn't have water either but the loss of TV and Internet was a real annoyance. While candlelight is quite romantic, it's nigh impossible to read by it. I suppose sitting in the dark, luckily beside a wood fire, is quite relaxing, it does get a bit boring. I think that the occasional loss of power is one of the down-sides to rural living. We are lower priority and probably more susceptible to these things with lots of overhead lines and trees etc. Anyway, if anyone from the electrical supply company reads this, I do appreciate the power supply but please keep it going. The other day while surfing I stumbled across a reference to an Acer Chromebook for sale in NZ. There seem to be several of the on-line retailers now selling them, and Acer's NZ site lists one device (for $429 versus the US price of $199). I'd love to get my hands on one (Acer, Google - are you listening?). I wonder if these machines are a better choice for an occasional computer user? 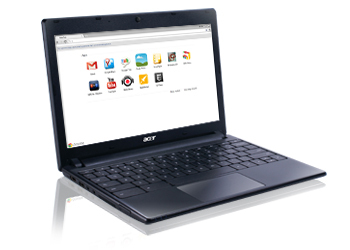 The Chromebook is effectively just a browser, and I guess there are a lot of users out there who just use a browser. For them this would be a much simpler, cheaper, and less complex machine to use. Several people in my immediate family could probably quite happily use one instead of a PC. Of course if you consider going down this route then maybe a tablet, Android or Ipad, could probably perform the same function. Either way, this choice must be one of the reasons for the languishing sales of laptops, and the slow take-up of Windows 8.